Horchata is a traditional Spanish or Latin American beverage typically made from soaked nuts and rice and seasoned with cinnamon. It is a refreshing, creamy beverage that is naturally dairy free. While it is normally found at Mexican restaurants or international food stores, once you realize how easy it is to make at home (with just a day or two of advance planning), you’ll be swimming in pitchers of milky white, cinnamon-scented goodness in no time. 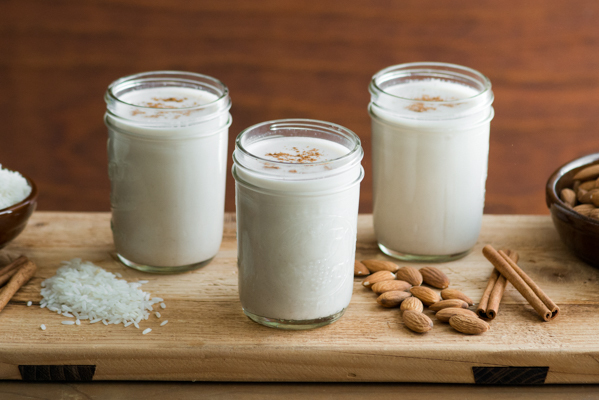 Horchata begins with just 3 simple ingredients: long-grain white rice, almonds, and cinnamon. Many horchata recipes use just rice, but we find that the extra body and flavor provided by the almonds makes it that much more enjoyable. Mexican cinnamon, or “canella” or “true” cinnamon, has a lighter, more delicate flavor than the more commonly used Indonesian/Vietnamese “cassia” cinnamon. Mexican cinnamon sticks are recognizable by their layered, cigar-like rolls with a flaky bark. Find it at mexican/international grocers or online. While you can use Cassia cinnamon in a pinch, go easy on the quantity, as it can easily overpower the delicate flavor of the horchata. Grind the cinnamon and the rice together using a clean coffee grinder until smooth and powdery. 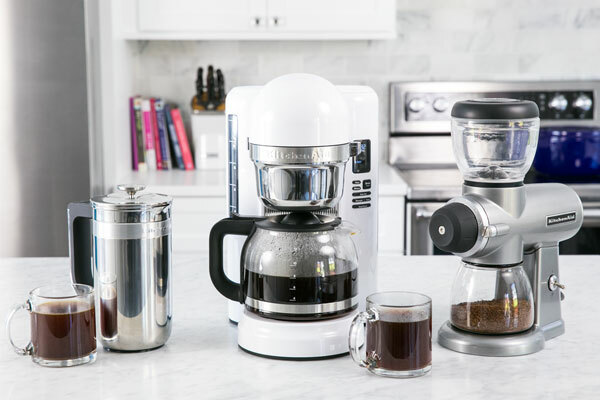 While the KitchenAid® Blade Coffee Grinder works beautifully for this task, you can also use a food processor, although that will produce a coarser grind and the rice may scratch your canister. The quickest way to make horchata is to use blanched or skinned almonds. However, you can easily blanche your own by boiling the almonds for 45 seconds, then draining and rinsing with cool water. The almonds should easily slip out of their skins when squeezed. Once skins are removed, toast the almonds at 350ºF for about 5 minutes or until dried and lightly browned. You then want to soak your almonds and ground rice mixture for at least 10-12 hours in clean, filtered water. 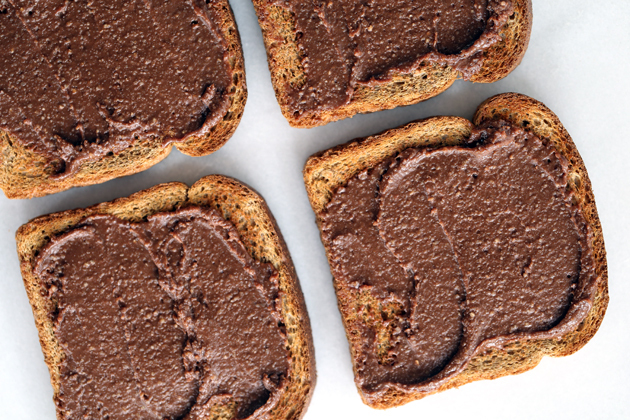 This softens the grains and will produce a smoother, more flavorful final product. 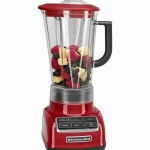 After soaking, blend the ingredients in your KitchenAid® Diamond Blender for 1 to 2 minutes or until completely smooth. The blended beverage will still be quite thick and gritty. To get the smooth and creamy beverage we all know and love, the grit needs to be strained out. I’ve found a nut milk bag to be the perfect tool for this (and essentially, we are making a nut milk here so it makes perfect sense). A drawstring bag made from a fine polyester mesh fabric, it makes quick work of straining the gritty liquid into something perfectly smooth. Alternatively, you can use a fine mesh sieve and a triple layer of cheesecloth. Squeeze every ounce of liquid you can from the bag. Unfortunately, the remaining pulp isn’t good for much of anything, so discard it when you are done. Your homemade horchata is best served chilled, poured over ice with a generous dusting of ground cinnamon. If it settles, which it will do when left to sit, just give it a good stir before serving. 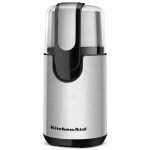 In a spice grinder or a KitchenAid® Blade Coffee Grinder, pulverize rice and cinnamon stick until finely ground. Add ground rice to a large mason jar or bowl. Add almonds and cover with 2 cups water (use filtered water if your tap water is iffy). Cover and refrigerate 10-12 hours or overnight. The next day, pour the contents of the jar into the canister of a KitchenAid® Diamond Blender, along with granulated sugar and 2 more cups of filtered water. Blend on Liquefy for 1 to 2 minutes or until completely smooth. Pour mixture through a fine mesh sieve lined with two layers of cheesecloth, or, if you have one, a nut milk bag is ideal for this. Let most of the liquid drain through, then gather up the edges and squeeze the remaining pulp to force out as much liquid as you can. Discard leftover pulp. Keep refrigerated. Slight separation is normal, just stir or shake well prior to serving. 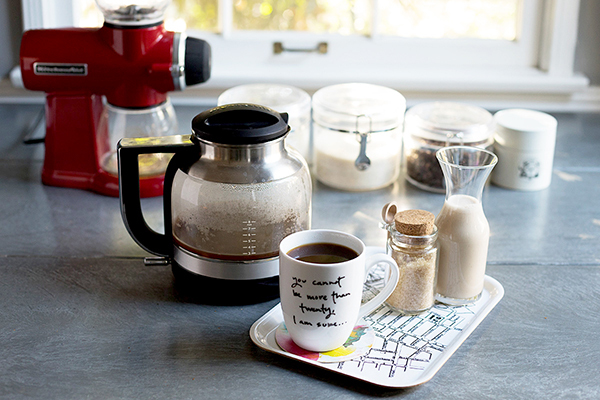 To serve, pour over ice and dust with ground cinnamon.